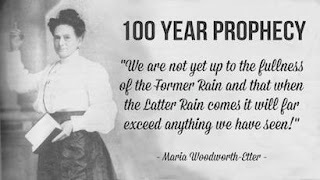 Nonfiction Article: "Uncapping the Wells of Maria Woodworth-Etter --- Miracles, Signs, and Wonders with Jack and Deb Welch"
Maria Woodworth-Etter is one of my hero's of the faith. Her powerful ministry was instrumental in bringing the gospel to Indiana, and literally, to thousands upon thousands of people. She traveled across the land holding revivals, saving souls, healing the sick, casting out demons, and raising the dead. In other words, doing exactly what Jesus did; what we're all called to do. When she prayed, people were touched by God sometimes from a distance of 50 miles away. Actual newspaper reports, books, and testimonies about this amazing woman of God are numerous, and I'm sharing the links: Her books are available on Amazon. through Facebook to ask if I could share his story in this issue of the journal. He agreed, and stated that he and his wife Deb would be in Anderson the following Saturday. God's timing is so perfect...We decided to meet for coffee. They are an incredible couple claiming their inheritance, walking in the anointing, and working to uncap, or re-dig, the wells of Jack's grandmother Maria Woodworth-Etter. Jack has over 20 years of ministry experience in various roles including itinerant speaking, teaching, and deliverance and prayer ministry. Jack, along with his wife Deb lead LTF Ministries and serve as the Arizona State Leaders for SPAN (Strategic Prayer Action Network), an international prayer network led by Rebecca Greenwood of Christian Harvest International. "I got saved in 1982, a few months before I turned 22, and I started going to a Baptist church. Neither me nor our family had ever heard of Maria Woodworth before, until 1975 when my cousin Tom was looking up our family history and came upon her. He asked his mom about her, but she knew very little about her. His mom, my aunt Mary, became saved through all of this research about Maria and by talking to people who were in her meetings. This was between 1977-1979. Sometime during this time period, Harrison House publishing company asked my Aunt if they could bring back the “Signs and Wonder” book into reprint again and she said yes, because it was copyrighted by Maria. The family didn’t receive any money, she just wanted people to hear the old, old stories of her great, great grandmother. The book got reprinted and published in 1980 and my Aunt Mary gave her sister, my mom a copy of this book in 1982 and told her all about her ministry and the book. My mom wasn’t interested in it and gave it to me. 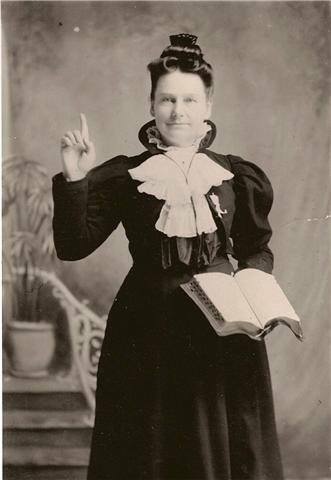 Well, I took it to the Baptist church and showed them and they said that women aren’t preachers, so it sat on my book shelf for 2 years until I received the Baptism in the Holy Spirit in 1984. I then left the Baptist church and started going to a Charismatic Church. When I showed them the book, they knew all about her. I didn’t really tell anyone about her for a long time and really didn't read her book until 5 years ago. I picked it up and started reading it. I didn't tell to many people about being related to her, because I saw how prideful some of the family members had become and I didn't want to be like that. But right before I had invited Becca Greenwood to our church in 2011, I bought our core group of about 8-10 people a copy of her Signs and Wonders book and also gave Becca a copy of it. I’ve been blessed ever since I got saved, in believing all of God’s Word, in healing, and all the promises of God. That’s why I guess I had to leave that first church, because I believe that it’s all for today. And as a side note, I haven’t been to a doctor since receiving the Baptism in the Holy Spirit, Praise His name, Jesus! But it’s sad in a way that our family history wasn’t handed down to us, my grandpa Rupert, my mom’s dad died in 1963 when he was 53, I was 3. Maria was his great grandmother. My mom died when she was only 50 years old. I have been sharing with my three kids about their great… grandmother, so they can draw from their inheritance. Now that the Lord had me start this Maria Facebook page on May 26th, 2013, and put a daily post on here, I’ve learned so much and I've had the chance to go around to different churches and share about her life and ministry. I was able to meet and talk with Roberts Liardon a few times, I even sent him some photos I had that he didn’t have. God wants so much in these last days, a people that he can use like Maria, Smith Wigglesworth, John G. Lake, etc... But he wants many Maria’s, many Smith’s, many John’s, many of you, with that type of anointing and greater. An end time army to do the greater works. It’s coming, a mighty visitation from God once again, get us ready Lord." Deb Welch is passionate about mobilizing and equipping the Body of Christ to engage in an intimate, fiery relationship with the Lord. The Lord called her to be a "fire-starter" and she launched Lite The Fire in 2006. 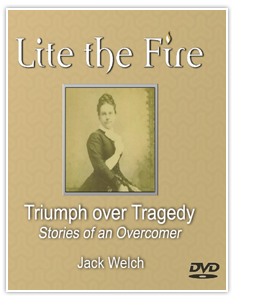 In 2007, she mobilized a non-stop prayer movement throughout Arizona, where the Welch's currently reside, called "The Torch". The vision of The Torch is to unite God's people by establishing non-stop prayer, and strategic prayer over a region and see revival and transformation come. 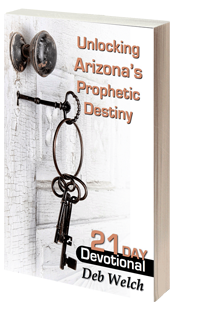 Deb's book, Unlocking Arizona's Prophetic Destiny, a 21 Day Devotional is used as a model for igniting prayer, and passing the Torch to see God's Kingdom expand on earth. Their vision is to see the Torch not only blaze throughout Arizona but throughout the United States and into other nations. Lite the Fire is committed to bringing the Body of Christ together for training that includes teaching, impartation and activation so that God’s people will be equipped for the works of the ministry both inside and outside the Church. They provide a specialized focus on training and equipping in all levels of prayer, strategic warfare, faith, divine healing and signs and wonders and five-fold ministry. When our meeting was over Deb gave me a copy of her book and I was delighted to see so many familiar names speaking to me over the 21 days of instruction-Graham Cooke, Cindy Jacobs, Chuck Pierce, Rick Joyner & James Goll, Charles Shamp...I could go on, but I don't want to ruin it for you. Go buy the book. Check out the video of Maria Woodworth-Etter below.